As London, Ontario’s most trusted moving company for residential and commercial moves, at The Easy Move, we pride ourselves on being a complete moving, packing and storage services company. Along with being the best and most reliable moving company that doesn’t sacrifice on service or quality, we also give our customers the change to save some fees by running promotional offers. We currently have a promotional saving offer and a sale on moving supplies running until December 31, 2018. As part of this promotional discount, you can save $20 per hour on our services and also purchase moving supplies with 15% off the listed price. If you need a mover or moving supplies, call or email us today. 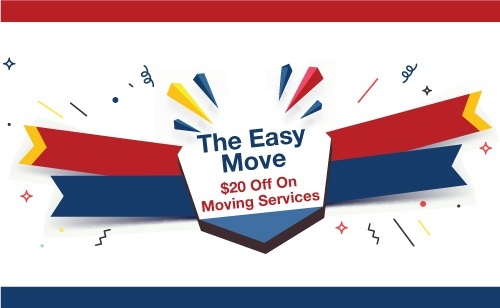 To learn more about the two offers, call us on (519) 859-4770, email us at matt@theeasymove.ca, or visit our website The Easy Move, by clicking here. For any moving related information, get in touch with us here.